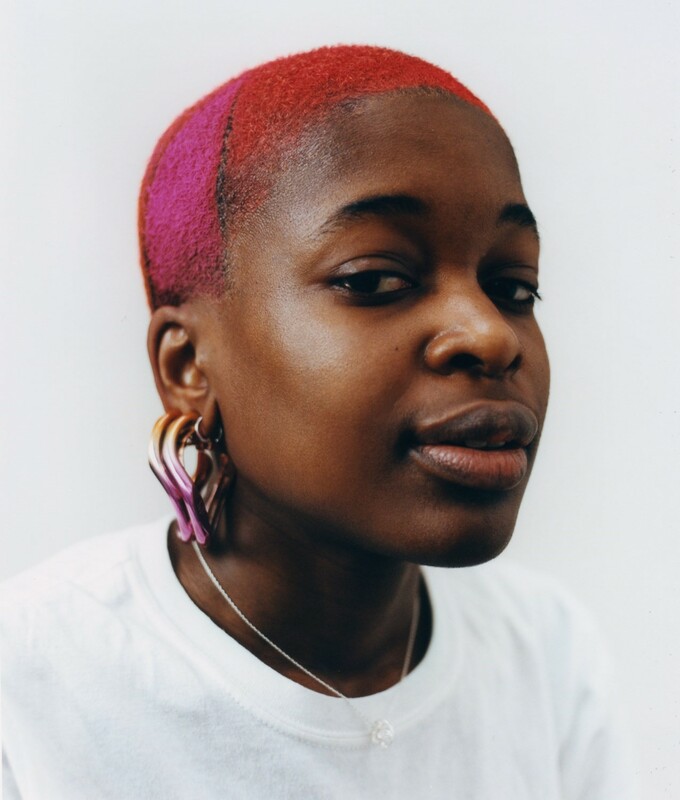 “For me, make-up can be a tool to visually represent some of your intersectionalities,” says British make-up artist Bea Sweet. 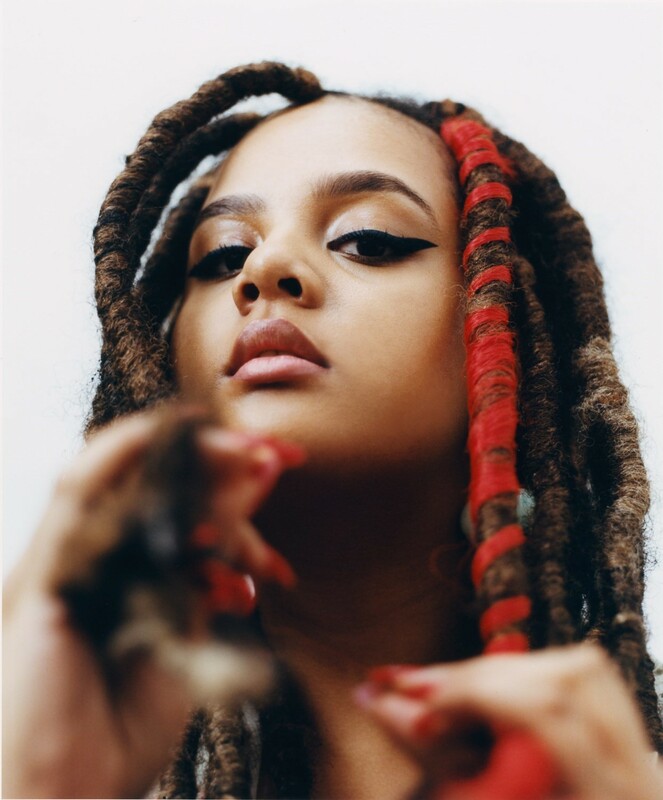 “It can help you to address your sexuality, your culture, your gender, your feminism.” Starting out in prosthetics, Bea soon moved into editorial make-up and now has a portfolio of clients which includes Erykah Badu and FKA Twigs. 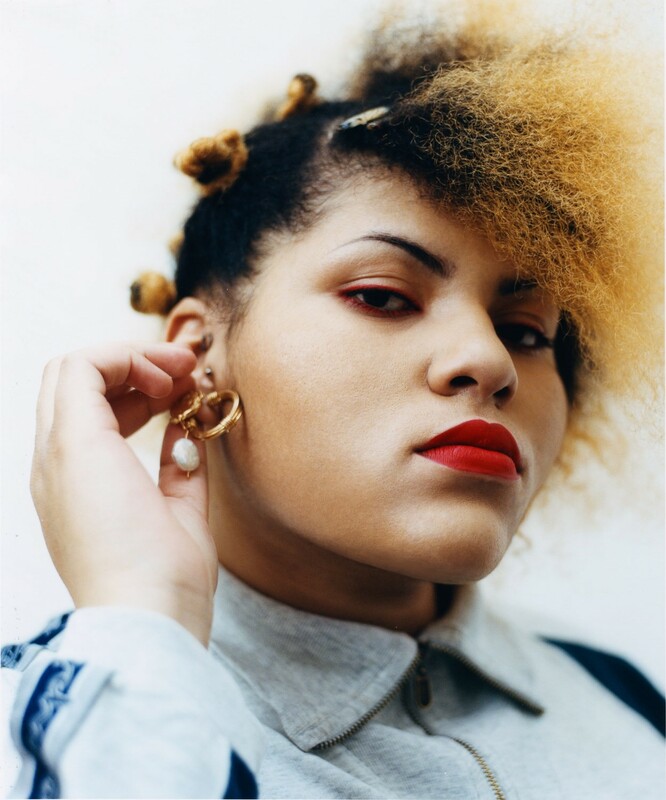 She is known for her exploration and celebration of varying visions of femininity which often push back against mainstream gender norms, for example, a 2012 film collaboration with Nick Knight which explored the experiences of black lesbian “studs.” Here Bea teamed up with photographer Felicity Ingram to shine a spotlight on six girls who use make-up in various ways to express themselves. “Together they represent a few of the many faces of beauty,” says Bea, “and examine society’s interpretations of womanhood.” Raw, religious and gender ambiguous in the case of like Philosophy student Roshin. With a modern nod to cultural heritage in the case of model and journalist Simran or fiercely feminist in the case of Sophia. Introducing Bea’s muses. Artist and illustrator, Joy Miessi uses their art to record their stories and to highlight social issues. 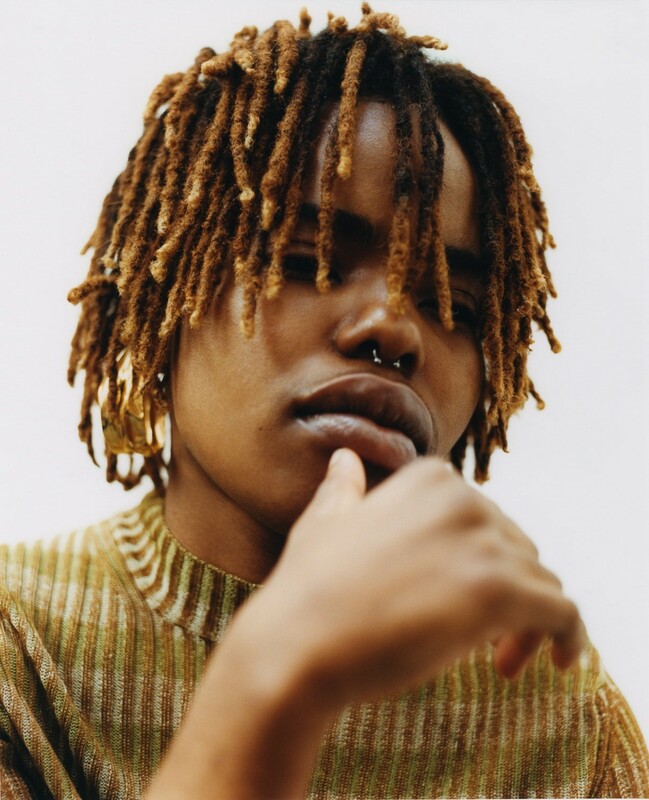 “As my work documents everyday life I naturally discuss issues that intersect my experience such as race, politics, gender, sexuality, religion,” Joy says. “To avoid talking about these things would be untrue to my own experience.” At the beginning of the year, Joy was selected by Nike as one of ten rising stars reimagining the future, an honour which included being interviewed by their inspiration, Naomi Campbell. More recently, Joy showed their first solo exhibition titled Do You Know Your Middle? which brought together memories of their childhood and upbringing. How do you express your individuality through your beauty? I’ve never got the hang of make-up but, for me, it’s always been about my hair. In 2011, I stopped straightening my hair and started embracing a lot of the hairstyles I had when I was young and that my mother and grandmother had back in Congo. I’ve gone from braids, afro, suki ya singa, Bantu knots, extensions and now it’s cut to its shortest. It’s built my confidence – trying out these new styles. It has made me erase the shame I once had for having these hairstyles and instead see the beauty. I enjoy being able to experiment with traditional Congolese styles and make some adaptations so that it reflects me and the generations before me all at once. After starting a blog in response to not finding anyone who was writing about societal issues in a relatable way, journalist and model Simran now writes about everything from beauty and heritage to mental health. Simran’s open and frank approach to showcasing her life on social media has earned her a lot of fans who relate to her struggles and pressures. “I think I do what I do to just show that you can be vulnerable and going through it but still succeed,” she says. “I hope that by showcasing my life in an authentic way as an act of love to myself I can empower someone else to live in their truth.” Earlier this year, Simran worked with Esteé Lauder Companies on their first cross-brand editorial, as both model and creative director. 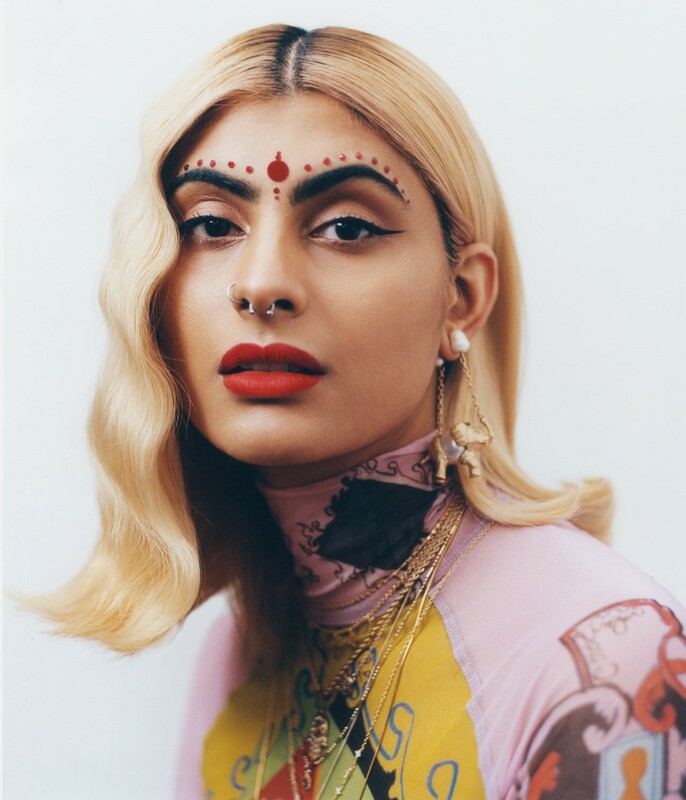 Taking the opportunity to represent her South Asian culture, Simran’s chosen team for the project was made up of mostly South Asian artists, from the hair stylist to the henna expert and the photographer. How does your aesthetic reflect your identity? One thing I am always learning and reminding myself of is that my individuality is always in flux. What I was last month I may not be tomorrow, and so the ways in which I choose to express myself are always changing too. I’ve had piercings all over my face, taken them out, eyebrow slits, blonde hair, purple hair, peach hair, long hair, full glam, natural beat, wavy hair, sleek buns, dressed super femme, faux freckles, kept comfy in streetwear. It’s always changing and that’s okay – there’s no one way I have to define myself or how I choose to express myself and that’s the biggest thing. Being comfortable always changing and knowing there isn’t a set box for my expression, which was something I used to struggle with when I can do it all. I loved going blonde and it was part of my journey of breaking out of my internalised beauty ideals of how Indian girls are ‘supposed’ to look. What do you think your beauty choices say about you? I think my style is the second and one of the only two ways that I express myself creatively. My outfit for the day generally depends on my mood, having said that I like to have a plan and structure to my day so I'm not one to get up every day and throw clothes around looking for something to wear. My style and look have changed quite a bit over the years, but the way I dress now is how I am comfortable living. I am a female but I don't think I will ever put a dress on again – unless it was for a laugh. As for my hairstyle, dreads, initially, it was just a lazy way to still keep hair. But now it is apart of who I am. How has your beauty aesthetic evolved? 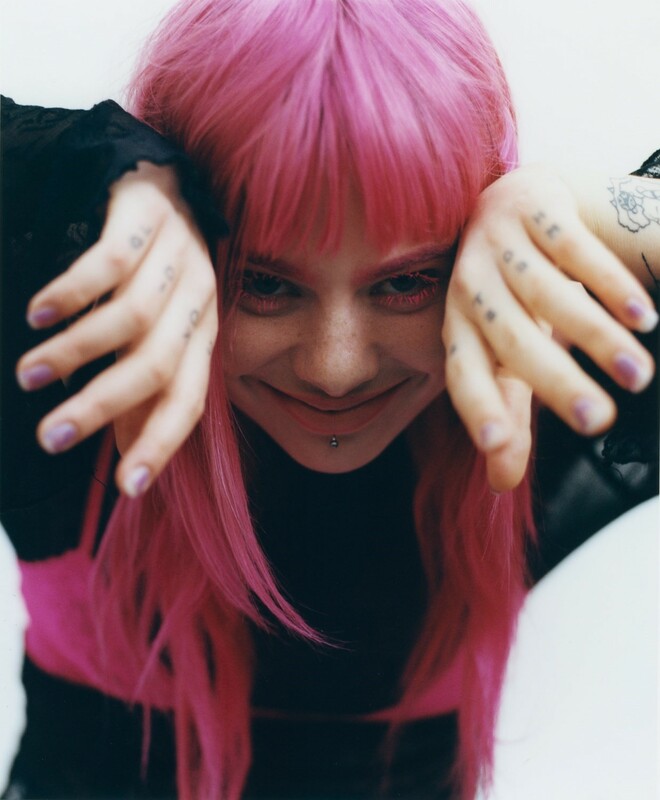 Singer, songwriter and musician, GIRLI first came to music when she was at school and needed an escape from the stresses of exams and of life. “I saw music and bands as the perfect way to express my frustration of what was going on around me,” she says. After being inspired at a gig to start her own band, and one false start with two girls she met on joinmyband.com, GIRLI struck out on her own and is now about to embark on her third headlining tour of the UK. When she’s not making music, GIRLI uses her social media platform to inspire young people to love themselves and to lead political and social discussions, often focusing around issues of feminism, sexuality and gender. For me, beauty is being authentically you. I’ve struggled with eating disorders and body issues in my teens and I’m very open with my fans and followers about my journey to loving myself more, and how I still have days where I hate myself. I think it’s so important, to be honest, and real instead of giving people an unrealistic idea of “beauty”. Everyone has that experience of scrolling Instagram and hating on their bodies/ talents/achievements. I don’t wanna make people feel like that; I wanna make people love themselves and believe in themselves. Everyone is beautiful. I like experimenting with my make-up looks and hairstyles. I can’t name my style as I literally go for what I’m feeling on the day. I’m confident to say I’m definitely inspired by the 90s era as I put my own twist on it. I love feeling cosy so that’s probably why I tend to choose streetwear and sneakers which I like mixing with other elements. As for my head, I see it as a blank canvas so I literally go for doing whatever I feel on the day depending on my mood or if I’ve seen something that inspired me to do this look, for example, a piece of artwork or a movie.